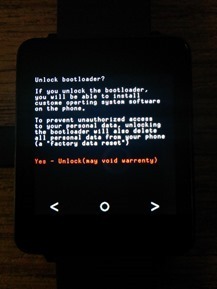 Unlocking the bootloader will wipe user data from the device. Your installed apps should be restored automatically, but individual app data may not be. 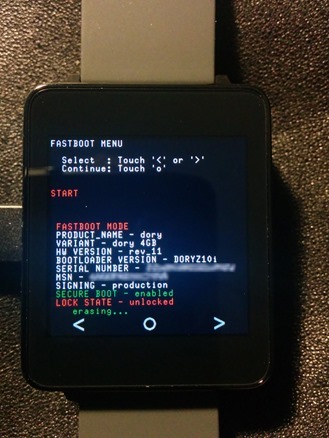 This includes collected data from your step counter, device pairings, and debug authorizations. You will need to have USB debugging configured, a guide can be found here. 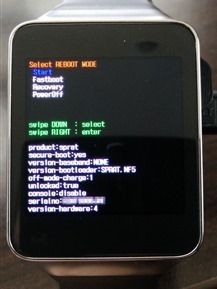 The bootloaders on both devices are touch-enabled. 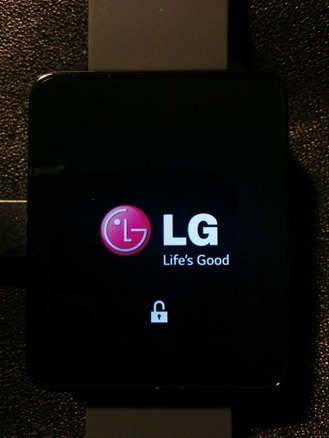 The LG G Watch places three buttons across the bottom. There are left and right arrows on either side to cycle through different options, shown in red near the top of the screen. 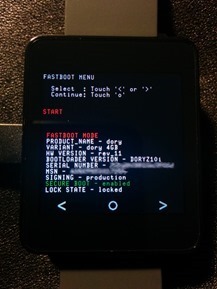 The commands are: Start, Power Off, Recovery Mode, and Restart Bootloader. Tap the arrows until the correct command is shown, then tap the circle in the center to perform the action. The Samsung Gear Live offers the same options, but you have to swipe to the right to change your selection, and swipe down to activate it.